TTC Journey: The Tale of 2 Lines! HFMD: Can Your Child Catch It Twice? 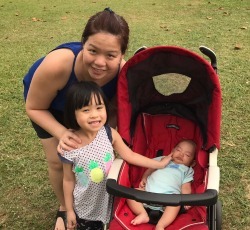 Hi, I’m Justina – a full-time working mum to two beautiful kids: a bubbly girl who talks non-stop and her little bro, our rooster baby. Thanks for stopping by my blog, which I plan to fill up with stories and the many amazing moments of motherhood. Feel free to drop me a line at toolittleones@gmail.com. Breastfeeding Achievement Unlocked: Making It to the First Year!